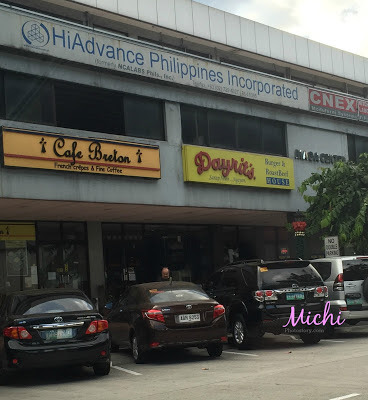 My husband is a frequent diner of Dayrit’s because this is near in their former office in Makati. So before going to Manila last December 29, we dropped by in Magallanes just to eat here so I can try their dishes too. 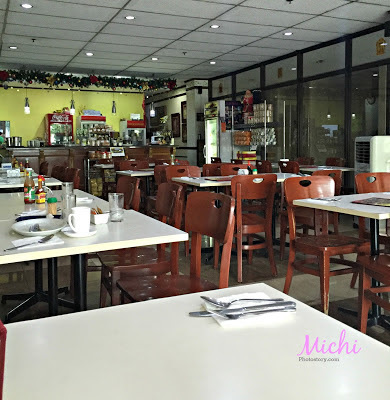 This is the interior of the restaurant, there were few diners that time but I noticed na marami nagtake-out order. While perusing the menu, I learned that they also offer frozen food to go, family party trays and cold cuts (per kilo). 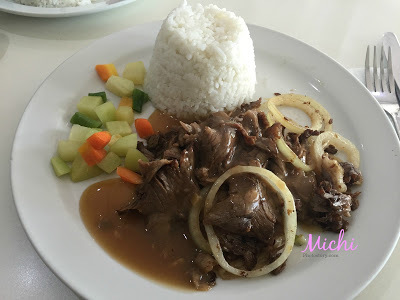 Since that was my first time, I asked hubby what are the specialties and he said masarap naman lahat but his usual order is Roast Beef Plate (w/baked potato topped with cheese, bacon bits, vegetable and choice of bread or rice) P340 and Macao. He told me na malaki yung serving nila so I suggested yung short order na lang kami. 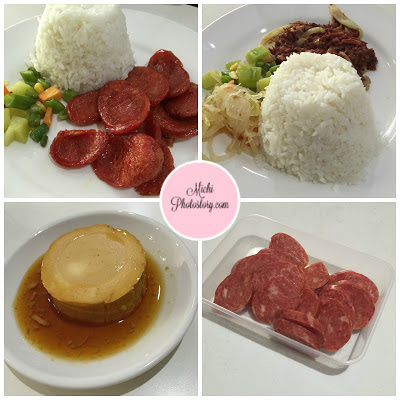 So we ordered plain rice with Tocino P145, Chorizo Macao P160 and Roast Beef P195. The serving of short order is still big so I wasn’t able to finish my roast beef so I shared it with my husband. 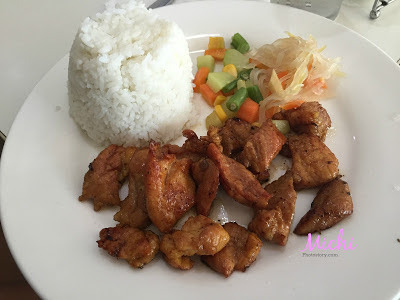 My son ordered Tocino but ended up eating the Chorizo Macao because he liked it very much. I love traveling to different places but if I’m going out of the country, one thing that worries me is food. I’m not adventurous when it comes to food and I’m really loyal to Filipino foods so I really miss it when I’m out of the country. So after our 7 days trip in Japan, we ate in Dayrit’s Burger and Roast Beef House. Oh, I really miss these foods and busog sa sarap. 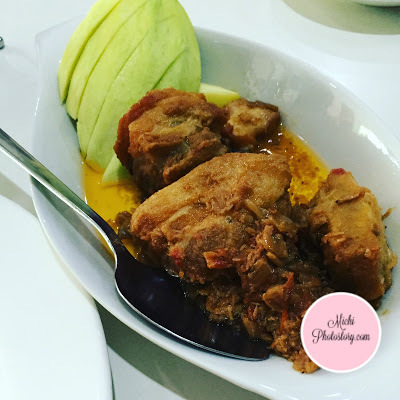 I ordered pork binagoongan and I was happy because there is green mango on the side. 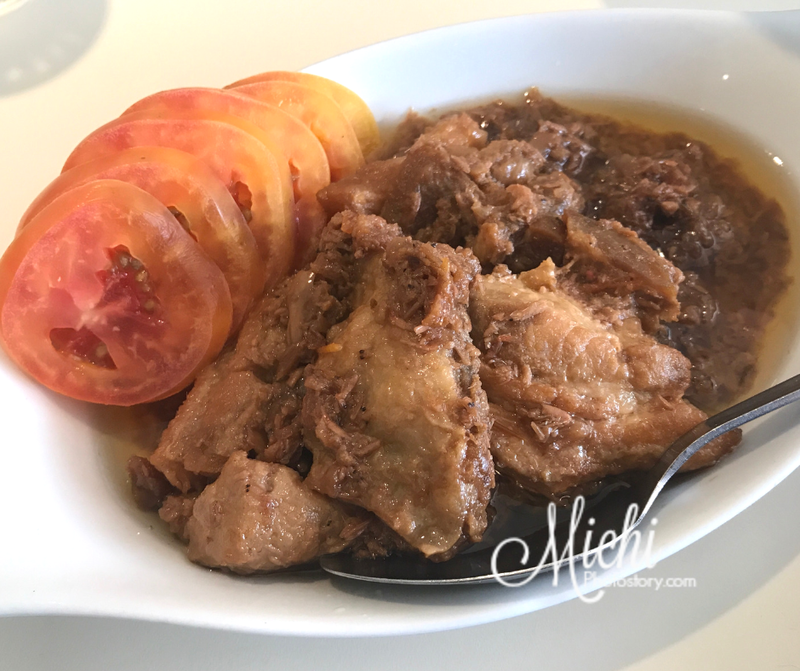 I love their pork binagoongan and it is good for two persons so I take-out the leftover. My husband ordered corned beef and so-so lang daw taste but my son is a happy camper because, after a long time he ate Chorizo Macao again. I bought a pack of this again because back to school is near and favorite niya itong ibaon. My son likes Leche Flan so he ordered this dessert. 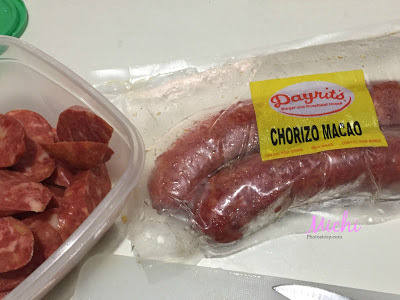 My husband messaged me that he is going to Magallanes and asked if I wanted to buy chorizo. 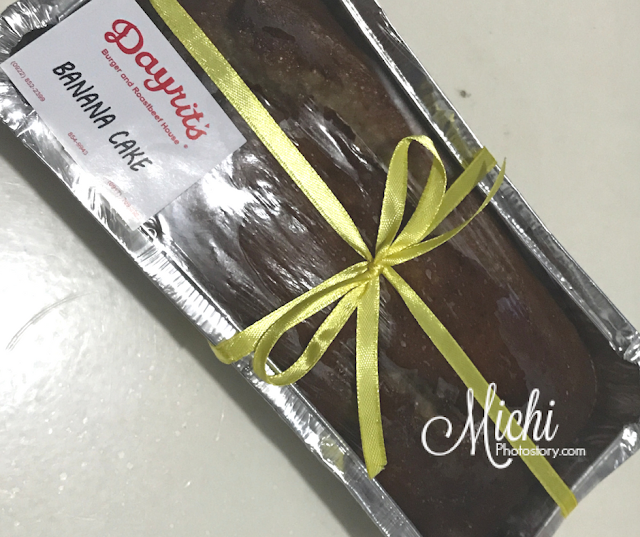 I said yes, because it is my son's favorite baon in school and I also told him to buy banana bread (P130). It's been more than a year that I'm not baking so I miss eating banana bread. 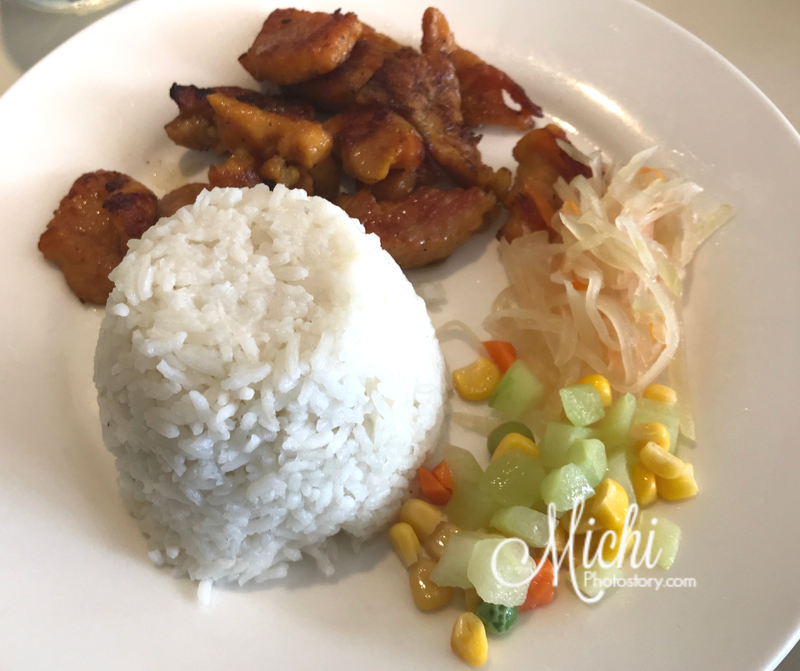 On our way to Sofitel Philippine Plaza Manila, we dropped by at Dayrit’s Burger and Roast Beef House so we could eat our lunch. Food at Sofitel is expensive so para tipid maglunch na kami before check-in. Hehehe! We ordered Pork Binagoongan, Chorizo Macao and extra rice. This is always my default order because I like the green mango, unfortunately, wala na naman green mango. I’m not sure kung inalis na nila yung mango kasi 3rd time na ito nangyari na wala green mango yung Pork Binagoongan. Maybe next time, I will change my order na lang. 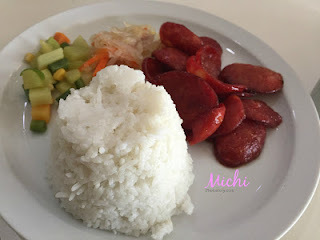 This time my son enjoyed the tocino and after one week, he asked me to buy the tocino for his baon. Oh, napalitan na favorite niya! So my husband went back to Dayrit's to buy a pack of tocino P190 (I think 1/2 kl) and banana cake P140. Nag-increase na ang price ng banana cake. Unit 4 Mega Center Bldg. wow! this place looks so cool. How nice that they are selling also their pack chorizo, galing! Aw.. any viand with rice talaga is perfect. Anything without rice is kulang! haha. nakakagutom! This place looks great and its very affordable I think. Nice! Soothing ang place and everything paired with rice is perfect. And bet ko ang price, not that expensive and tama lang sa bulsa.